by Frederick Hatch (McFarland, 2016). Of course, anyone who's read anything at all about the Lincoln assassination has heard of John Surratt. Surratt "was a courier for the Confederate Secret Service and the only one of John Wilkes Booth's co-conspirators in the Lincoln assassination plot to escape hanging by the U.S. government. Fleeing vengeful authorities in the wake of the assassination, Surratt traveled through three continents and served in the Papal Zouaves before being arrested in Egypt. His 1867 trial was a sensation, ending in a hung jury. Upon his release, he sought a quiet life away from the spotlight but privately suffered the consequences of his acts." 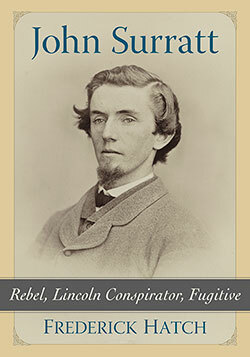 John Surratt author Frederick Hatch is the editor and publisher of The Journal of the Lincoln Assassination (which oddly doesn't seem to have a website) and this new biography promises to be "(t)he most complete study of Surratt's life to date." At this point, if you are going to write about a major figure in the assassination literature you should have something new to say, and according to the description, "this book addresses many unanswered questions and considers theories that have received little attention." What those might be (and perhaps how Hatch himself would have voted had he been an 1867 trial juror) you'll have to read the book to find out. Review of Tomblin: "THE CIVIL WAR ON THE MISSISSIPPI: Union Sailors, Gunboat Captains, and the Campaign to Control the River"
During innumerable Civil War campaigns fought along the littorals and inland waterways of the country, the army and navy of the United States formed a military partnership that was instrumental to Union victory. It was a combination the bureaucratically and industrially challenged Confederate armed forces could not match and only occasionally defeat. Nowhere was this Union might demonstrated to better effect than in the Mississippi River Valley from 1861-63. During that period, a sustained sequence of combined operations would overcome the best defensive measures the Confederacy could muster, in the process capturing multiple armies (big and small) and opening the Father of Waters to navigation from Cairo to New Orleans. Of course, contemporary observers and modern writers alike have recognized the importance of this achievement. Some classic studies on the subject exist like Fletcher Pratt's Civil War on Western Waters (1956) and John Milligan's Gunboats Down the Mississippi (1965), and more recently Jack Coombe's Thunder along the Mississippi: The River Battles that Split the Confederacy (1996), Gary Joiner's Mr. Lincoln's Brown Water Navy (2007), and Benton Rain Patterson's The Mississippi River Campaign, 1861-1863: The Struggle for Control of the Western Waters (2010) have documented the riverine war on the Mississippi. The newest addition to the arena is Barbara Brooks Tomblin's The Civil War on the Mississippi: Union Sailors, Gunboat Captains, and the Campaign to Control the River. 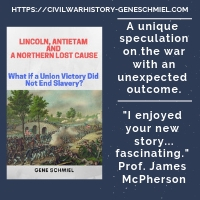 The Civil War literature is well known for producing a multitude of overview histories of varying size and quality for its grandest subjects, and even for many smaller events and themes. 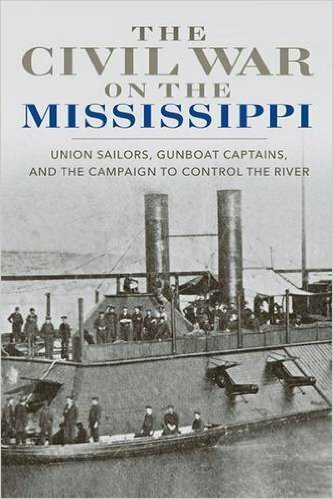 Among those dealing with the naval war on the Mississippi and its major tributaries, Tomblin's book is especially remarkable for its comprehensive coverage and depth of detail. Lengthy chapters are devoted to major campaigns like Fort Henry/Fort Donelson, Island No. 10, the passage of the New Orleans forts, Arkansas Post, and Port Hudson. Multiple book sections recount the navy's direct participation in the 1862-63 Vicksburg campaigns, and whole chapters address the Yazoo Pass and Steele's Bayous expeditions along with the subsequent bombardment of Grand Gulf. Solid treatments of the fleet battles at Plum Point Bend and Memphis are also presented in the book. The construction, strengths and weaknesses, and operational uses of the Union's inland navy's large array of offensive tools – the timberclads, tinclads1 (though this vessel class isn't really mentioned much until the concluding summary), rams, mortar boats, and ironclads – are appropriately featured, as are Confederate countermeasures like the marine torpedo and their own river navy, the latter including the cottonclad rams featured in the fleet actions mentioned above and the ironclad CSS Arkansas (an entire chapter recounts its famous run through the Union fleet in 1862). Tomblin also documents the many human and material challenges the Union's Brown Water Navy needed to work around in order to get the job done. The ironclad vessels often handled poorly on the rivers and had defensive design weaknesses that the Confederates were able to exploit. Crews could only do so much on the scene and their ad hoc measures at covering up vulnerable areas had only minimal impact. In the main, the mortar boats, though they had their champions, never lived up to expectations. Ships of all types were also chronically short of full crews, a situation exacerbated by persistent and lengthy sick lists. Tomblin's earlier scholarship2 focused heavily on the ways ex-slaves assisted the Union's Atlantic blockading fleets, and many of these features carry over to this book. While the navy performed extensive humanitarian work in rescuing large numbers of black refugees crowding the Mississippi's riverbanks, the fleet in turn benefited from the local knowledge of contrabands and its undermanned vessels received significant labor and crew accessions from them. In addition to participating directly in the ranks of the Union armies assaulting and besieging Confederate Mississippi River strong points like Port Hudson, black recruits also freed up veteran white troops for active operations by guarding government plantations and military depots located along the river. In regard to the latter, the book highlights the invaluable assistance the navy provided to the black and white defenders at Milliken's Bend and other places. Basing her narrative on the ORN combined with a judicious synthesis of the secondary literature, Tomblin demonstrates a firm grasp of the current scholarship. While her Union leadership assessment and naval campaign analysis are both conventional in nature, the author's depictions of crew life and accounts of the fighting are exceptionally enhanced by the unpublished material she was able to find and incorporate into the narrative. While land campaign researchers fairly swim in available manuscript material, Civil War naval historians constantly lament the paucity of surviving diaries, journals, and letters written by the tars that manned the ships that blockaded the coast or the vessels that patrolled the rivers of the South. Though not large in the number, the fresh voices that Tomblin features in this regard add unique value to her study. Problems are relatively few. There's only one map in the book, a rather spare theater-scale drawing showing key points mentioned in the text, so readers will have to look elsewhere to supplement their reading in this way. During the Battle of Memphis chapter, Confederate cottonclads are mistakenly called ironclads by the author (though the error is rectified in the conclusion), and the book's discussion of the origins of the Arkansas Post operation is a bit muddled. Like most studies, a few grating yet peripheral errors (ex. Confederate General John Stevens Bowen is called "James" Bowen) creep in here and there. Some fairly significant naval events also receive short shrift. For example, the battle at Head of Passes between the Union blockading fleet and the CSS Manassas is covered in just a few sentences. Above quibbles aside, on the recommendation spectrum it wouldn't be overly bold to say that Barbara Tomblin's The Civil War on the Mississippi effectively supplants the competition when it comes to overview histories of the Union naval effort to open the Mississippi River. Beyond being a learned synthesis of a well covered topic, the book also possesses some fresh elements that even the most jaded reader can appreciate. 1 - For an exhaustive study of the tinclads, one should seek out Tinclads in the Civil War by Myron J. Smith, Jr. (McFarland, 2009). Smith is also the author of numerous other leadership, vessel, and operational studies of similar depth that deal with the Union Navy's timberclad and ironclad contingents. 2 - Bluejackets and Contrabands: African Americans and the Union Navy (Kentucky, 2009). 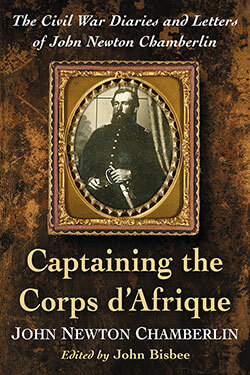 • Captaining the Corps d'Afrique: The Civil War Diaries and Letters of John Newton Chamberlin edited by John Bisbee (McFarland, 2016). After shipping to Florida with the 75th New York, Chamberlin spent nine months in the Pensacola area before his unit transferred to New Orleans and more active service along the lower Mississippi. The 75th fought in the Bayou Teche and Port Hudson operations in 1863, and later in that year Chamberlin was invited to join a newly formed black unit. He accepted the challenge, and in September 1863 he was commissioned captain of Company E, 3rd Regiment Engineers Corps d'Afrique. He led his engineer company during the 1864 Red River Campaign and in the fall the regiment was transferred to Florida as part of the massive build up of Union forces aimed at finally capturing Mobile. From the publisher's description, Chamberlin "recorded his unique perspective as a commander of black soldiers and engineers. More than everyday accounts of camp life and battles, Chamberlin's letters and diaries — here presented in historical context — give an insider's view of the Union army's relationship with black troops and of the political and social implications of wartime events." In addition to his contextual narrative, editor John Bisbee also contributes chapter notes and reproduces a series of documents in the appendices. • "The Bloody Fifth" The 5th Texas Infantry Regiment, Hood's Texas Brigade, Army of Northern Virginia: Volume 1: Secession to the Suffolk Campaign by John F. Schmutz (Savas Beatie, 2016). Taking advantage of the industry's mid-summer lull, this publisher is grabbing the spotlight and releasing new titles at a fairly furious pace. I was impressed with John Schmutz's Crater battle history from a short while ago and he's remaining on the Virginia front with his first regimental study "The Bloody Fifth". The first two chapters cover the 5th Texas's organization and its first winter in the field. The rest of the book explores the regiment's role in the Peninsula, Second Bull Run, Maryland, Fredericksburg, and Suffolk campaigns. There's the usual array of fine battle maps and the publisher's commitment to using footnotes rather than endnotes. The bibliography is saved for the second volume, so there's no easy way to assess at a glance how many soldier letters, diaries, and memoirs were found. According to the description, the "study is based upon years of archival battlefield research that uncovered hundreds of primary sources, many never before used". The first appendix consists of organizational profiles of each company while the second offers a lengthy series of biographical sketches (some quite substantial) of individuals, men and women, in some way associated with the unit. 1. General Jo Shelby: Undefeated Rebel (1954) by Daniel O'Flaherty. Though Missouri's Joseph Orville "Jo" Shelby is considered by many to be the finest cavalry officer that fought for either side in the Trans-Mississippi, remarkably few books have been specifically devoted to the man. Shelby features prominently in a multitude of Civil War military studies, but the only full treatment of his life remains journalist Daniel O'Flaherty's 60+ year old biography (reissued in 2000). Well received at the time of publication, the book's scholarship is showing its age at this point, leaving ample room for an enterprising historian to give a modern biographical treatment a go. 2. Shelby and His Men: Or. The War in the West (1867) by John Newman Edwards. Written soon after the war during exile in Mexico when events were still fresh in his mind, Edwards's book's lionizes Shelby and the cause for which he fought in extravagant prose. His post-war account not known for a sparkling degree of historical objectivity, journalist Edwards nevertheless was Shelby's adjutant during the war (apparently penning all of his commander's reports) and thus possessed inside knowledge that cannot be completely ignored (though all should take what he has to say with more than the usual grain of salt). His writings are foundational resources for other books on the list. 3. Jo Shelby's Iron Brigade (2007) by Deryl P. Sellmeyer. Shelby's command was one of the remarkable Civil War units branded with the "Iron Brigade" sobriquet, and Selmeyer's book is a serviceable leadership, organization, and operations study. While not entirely satisfactory in terms of research and analysis, no other book offers a descriptive look at Shelby's military career (or his brigade's performance during many raids, skirmishes, and battles) in like depth. 4. Fallen Guidon: The Saga of Confederate General Jo Shelby's March to Mexico (1962) by Edwin Adams Davis. Second to his Civil War service, Shelby is perhaps best known for his unrepentant Rebel status, trekking to Mexico with his men (and famously burying his battle flags in the Rio Grande) instead of surrendering and returning home to Missouri. Published over half a century ago (and university press reissued in 1995), Davis's book is a brief account of the epic march of Shelby and his men, which ended in disappointment with Emperor Maximilian declining their offer of military service and the Mexican colonies of ex-Confederates breaking up with the regime's 1867 collapse. 5. The Fifth Season: General "JO" Shelby's Great Raid of 1863 (2001) by Mark E. Scott. In 1863, Shelby and his brigade embarked on one of the war's longest cavalry raids, traveling 1,500 miles across Arkansas and Missouri over 41 days. Scott's book, based on his master's thesis, is a useful (if rather amateurishly presented by the publisher) overview of the "Great Raid," the real accomplishments and impact of which remain controversial. • Stand to It and Give Them Hell: Gettysburg as the Soldiers Experienced it From Cemetery Ridge to Little Round Top, July 2, 1863 by John Michael Priest (Savas Beatie, 2016). Originally published in 2014 in hardcover, this is the newly released paperback edition. Back in 1989, Priest's Antietam book employed a novel eyewitness narrative technique to convey a uniquely visceral, up-close view of an entire Civil War battle. It was followed later by South Mountain and Wilderness volumes. In this book, the action moves to the 2nd Day of Gettysburg, with soldier's-eye level accounts of the desperate fighting at Cemetery Ridge, the Peach Orchard, the Wheatfield, Devil's Den, and other places. The text is supported by dozens of high quality maps as well as a detailed numbers and losses appendix. Review of Davis: "A LONG AND BLOODY TASK: The Atlanta Campaign from Dalton through Kennesaw to the Chattahoochee, May 5-July 18, 1864"
It's a bit ironic that a series calling itself Emerging Civil War has thus far hearkened back to an earlier time in Civil War publishing, disproportionately lavishing its attention upon the big eastern theater battles. Of its extensive run of current titles, less than a handful deal with the western theater and none address the fighting in the Trans-Mississippi. Thankfully, with Franklin and Shiloh entries already in the queue, a pattern change is in the air. 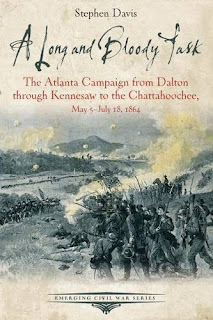 Stephen Davis is another ECW contributor going West, taking on the 1864 Georgia Campaign in two volumes, the first being A Long and Bloody Task: The Atlanta Campaign from Dalton through Kennesaw to the Chattahoochee, May 5-July 18, 1864. The second, All the Fighting They Want: The Atlanta Campaign, from Peachtree Creek to the Surrender of the City, July 18-September 2, 1864, will follow later this year. A Long and Bloody Task offers an operational level narrative and tour of the first two and a half months of the Atlanta Campaign. Davis, the author of an introductory history of the campaign and a lengthy treatment of the bombardment of Atlanta, here constructs a fine overview of military events in North Georgia. Of course, detailed accounts of Resaca, Cassville, New Hope Church, Pickett's Mill, and Kennesaw Mountain are out of the question given the space and format considerations of the series, but the author explains succinctly and well the operational maneuvering of both sides. In a long sequence of action-reaction steps, William T. Sherman's army group neutralized the enemy's terrain advantages by constantly levering Joe Johnston out of strong defensive positions by using wide flanking movements to the west, shifting to the east only after reaching the Chattahoochee River line. The book's many maps are at a corresponding high level of perspective, for the most part tracing corps movements and drawing general battle lines rather than zooming in at a tactical level. In his command discussions, Davis (like many others) contrasts the indifferent battlefield management skills of Sherman with the general's considerable and oft demonstrated operational level acumen. While the author notes Sherman's general aversion to fighting bloody set piece battles, he also paints a portrait of a man with an exceptionally callous attitude toward casualties when battles proved necessary (a controversial assessment drawn in the book from pretty thin context). For the Confederate side, Davis is sharply critical of Johnston's fatalistic passivity and general lack of imagination in handling his end of fighting the campaign. The author also rejects the popular assignment of blame to corps commander John Bell Hood as the spoiler of Johnston's alleged golden opportunity for a masterstroke at Cassville. Some ECW series titles integrate their driving tours into the main narrative while others keep it separate. Davis's is among the latter group. The tour feature of A Long and Bloody Task has five main stops, with detailed driving instructions and one or more site visits at Dalton, Resaca, Cassville, New Hope Church, Pickett's Mill, Gilgal Church, Pine Mountain, and Kennesaw Mountain. Six appendices are included, among them a longer look at Pickett's Mill, a writer's personal reminiscences of visiting Kennesaw Mountain, a glance at the remains of the Chattahoochee River Line defenses, and a discussion of Union engineering and logistics. In the final two, Davis refutes the opinion long held by some that keeping Johnston in command was the best hope for saving Atlanta and ponders the state of the post-Centennial Hood historiography while also summarizing the most recent developments (with more promised for Volume 2). Certainly not intended as any kind of replacement for Albert Castel's magnum opus or any of an increasing number of specialized battle studies, Stephen Davis's A Long and Bloody Task serves a different purpose as a concise yet authoritative history of the opening period of the Atlanta Campaign, one accompanied by a similarly broad brushstroke driving tour. Review of Bielski: "SONS OF THE WHITE EAGLE IN THE AMERICAN CIVIL WAR: Divided Poles in a Divided Nation"
With the flood of Eastern European immigration to the United States occurring much later in the century, the Polish contribution to the armies of the Civil War was necessarily small, dwarfed by other European ethnic groups like the Germans and Irish. 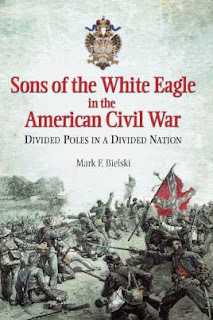 According to author Mark Bielski in his new book Sons of the White Eagle in the American Civil War, 4,000-5,000 ethnic Poles served in the Union armies and 1,000-1,500 fought for the Confederacy. The lives of nine of these immigrant Poles, four of whom joined the Union side and four the Confederates (with another eventually wearing both uniforms), are the subject of the book. Polish names can be difficult for English speakers to grasp, so Bielski begins with a very helpful spelling and pronunciation primer. Limited language skills on the part of American scholars have long been a barrier to the study of foreign-born participants in the Civil War, but the author's knowledge of Polish allowed him to do most of his own source translation. Bielski organizes the book on a generational basis. While no direct correlation between historical timing of immigration and later Union vs. Confederate loyalty was found, the author's approach does serve as a useful way to offer context for why these men were forced to leave their native land and which factors shaped by their cultural background and life experience were involved in deciding which side to join during the Civil War. The final partition of Poland among the Prussian, Austrian, and Russian empires occurred in 1795. The oldest generation represented in Bielski's study was most directly influenced by this traumatic event, which erased their nation entirely from the European map. Those that fought in the 1830 revolt against Russia were able to trace the most direct lineage to earlier Polish patriots (Casimir Pulaski and Thaddeus Kosciuszko) that came to America's defense in its time of need. A later group fought in the great failed revolutionary upheavals of the 1840s, and the book's youngest cohort was born in Poland but raised in the United States. Some of these men did not specifically spell out their reasons for joining the Union or Confederate side, but the book's offers a fine chapter length discussion of possible contributing factors. According to Bieski, for much of its history Poland had a rudimentary form of political and legal democracy, a form of government much more progressive than its autocratic neighbors, so Enlightenment notions of freedom appealed to Poles and Americans alike. As newcomers to America, the Poles were obviously not guided by traditional party affiliations, but they were simultaneously attracted to the Republican anti-slavery platform and repulsed by its nativist element. Like many Americans, immigrant Poles also found their loyalties guided and tested by the sometimes contrasting layers of duty felt toward nation, state, and local community. Nearly all the Poles in Bielski's study were deeply troubled by the U.S. government's close relationship with autocratic Russia (including the Lincoln administration's actions during the war years), and some cited U.S. support of Russia and similarities between them in imperialist ambitions as strong reasons to take up the Confederate cause. On the other side of the equation, others viewed the potential breakup of the United States, not as a triumph of self-determination but a national calamity to the cause of freedom reminiscent of the partition of Poland. A major theme to take away of all this is that the Civil War motivations of immigrant Poles were just as complicated, contradictory, and difficult to predict as those of their native born American neighbors. As stated above, a balanced group of men in terms of age and belligerent side was selected by the author for examination in the book. After immigrating to America, Gaspard Tochman continued to lobby for the Polish cause and defended Kosciuszko's heirs against Russian attempts (apparently with State Department collusion) to confiscate their U.S. property. Residing in Virginia, Tochman supported the Confederate cause on Constitutional grounds (at least as he interpreted them) and raised troops, but declined to lead them in person when his bid for a general's appointment was denied. Another veteran of the 1830 revolt was the Radical Republican and State Department official Adam Gurowski, who remains an enigma with his seemingly unexplicable ideological conversion to pro-Russian Pan-Slavism. Ignacy Szymanski also fought the Russians in 1830. He was part of Louisiana's planter class and led troops from that state during the Civil War, but his greatest contribution seems to have been in the sphere of prisoner negotiations, where he used his diplomatic skills to great effect. Ludwik Zychlinski and Valery Sulakowski, both participants in the uprisings of the late 1840s, fought on opposing sides. Zychlinski served with the Army of the Potomac until 1863, when he was discharged and returned to Poland to fight the Russians. Sulakowski made a mark as a strong disciplinarian and one of the best regimental commanders in the Confederate army, but resigned his commission in 1862 when passed over for promotion. He later returned to the service as an engineering officer in the Trans-Mississippi, providing invaluable assistance to Texas's coastal defenses. He also was involved in a failed plot to transport Polish volunteers across the ocean to aid the Confederacy. Two of the most well known Polish-American Union officers to today's readers are Joseph Karge and Wladimir Kryzanowski. Bielski lavishes a great deal of attention on their respective Civil War careers, with Kryzanowski's section by far the book's lengthiest. The author makes a strong case that Kryzanowski deserves more recognition as one of the bright lights of the ill-starred Eleventh Corps. Bielski also speculates that nativist impulses delayed Kryzanowski's promotion to general (a first attempt early in the war failed confirmation). Joseph Karge proved to be a fine cavalry officer, perhaps best known for beating Nathan Bedford Forrest in open battle. In truth, the engagement at Bolivar was a rather inconsequential affair, and the author demonstrates due restraint while discussing its significance. Born in Poland but raised in the U.S., the youngest of the nine men profiled in the book are Leon Jastremski and Peter Kiolbassa. In terms of loyalty and political conviction, Peter Kiolbassa would prove the most elastic of all the figures examined in the book, jumping side from Confederate to Union mid-war and freely switching between parties for personal gain in the post-war period. In contrast, Leon Jastremski remained a die-hard Confederate. During the war, he worked his way up through the ranks from private soldier to officer in the 10th Louisiana, fighting with the Army of Northern Virginia. Captured for the second time at Spotsylvania in 1864, he was later shipped to Charleston as part of the "Immortal 600" contingent of officers and escaped imprisonment near war's end. In recent decades, immigrant studies have assumed a much more prominent place in the Civil War literature. However, even after taking into account the comparatively minute scale of their contributions to both armies, the Polish experience has been unduly buried beneath the weight exerted by the far more numerous European ethnic groups. Sons of the White Eagle in the American Civil War not only brings into sharp focus the actions and significance of a number of prominent military figures (and one civilian), it also usefully examines the cultural and political connections between Poland and the United States throughout the turbulent first half of the nineteenth century. • The Last Road North: A Guide to the Gettysburg Campaign, 1863 by Robert Orrison and Dan Welch (Savas Beatie, 2016). This ECW volume eschews the typical appendix collection to make room for an ambitious mini-tour of the entire Gettysburg Campaign. It covers the Confederate advance into Pennsylvania (including Stuart's Ride), a very brief sketch of the battle itself (which is not part of the tour), and the fighting retreat, with a multitude of tour stops for each chapter [26 for the Confederate advance, 23 for the Union reaction, and 12 for the retreat]. • Don't Give an Inch: The Second Day at Gettysburg, July 2, 1863 by Chris Mackowski, Kristopher D. White, and Daniel T. Davis (Savas Beatie, 2016). 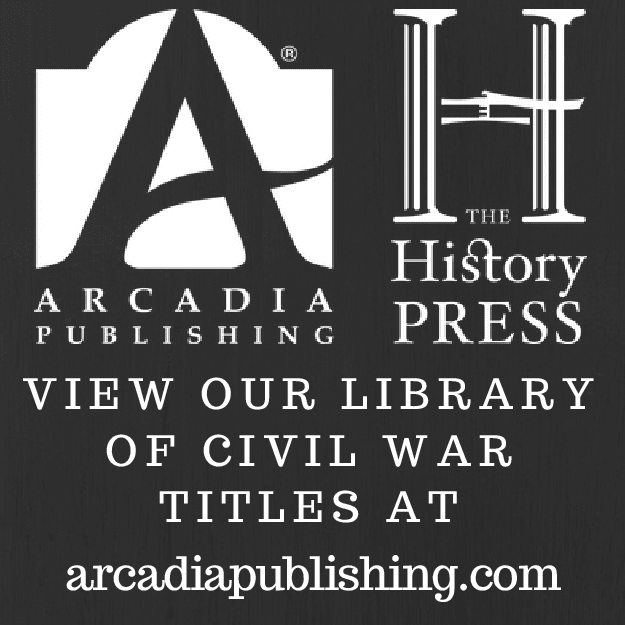 This Emerging Civil War volume contains a compact narrative and integrated tour of the major Day 2 events – Longstreet's flank march, Little Round Top, Devil's Den, the Wheatfield, the Peach Orchard, and Cemetery Ridge. The four appendices consist of a Wheatfield walking tour, a reassessment of Joshua Lawrence Chamberlain as LRT hero, another look at the famous Devil's Den sharpshooter, and the Sickles-Meade controversy. 1. Siege of Charleston, 1861-1865 (1970) by E. Milby Burton. The Civil War Sesquicentennial came and went with relatively little attention paid to the war's longest campaign, the war spanning Siege of Charleston. Perhaps its grinding indecisiveness (the city didn't actually fall until Sherman's massive Union army forced its abandonment from the landward side in the war's waning months) is a turn off to many potential authors, but to me it remains a fascinating operation, with the Union army and navy employing all of their considerable tools and technology in a vain effort to overcome a stout Confederate defense. Nearly 50 years old and never that great to begin with, Burton's book makes the list because it's still the only scholarly full treatment available. 2. Secessionville: Assault On Charleston (1996) by Patrick Brennan. Back when it was first released, I was roundly impressed with Brennan's first-rate history of Union general Henry Benham's unauthorized and ill-managed attempt to seize Charleston in 1862, which ended with the greatly outnumbered Confederates inflicting heavy losses on the attackers and achieving a signal victory at Secessionville. Lawyers turned avocational historians have made great contributions to the Civil War literature, but Brennan's brilliant work reminds us that perhaps musicians are a great untapped resource. Unfortunately for us, the author himself proved to be a one hit wonder, but what a memorable hit it was. 3. Gate of Hell: Campaign for Charleston, 1863 (1994) by Stephen R. Wise. In 1863, Union forces, the army advancing on Charleston from the south through the sea islands and the navy directly attacking Charleston harbor with an unprecedentedly large fleet of ironclads, conducted their greatest sustained push to capture the Cradle of Secession. Wise's book is a very fine military history of this period, which was characterized by success and failure on the Union side, with Charleston ultimately remaining in Confederate hands. 4. Siege Train: The Journal of a Confederate Artilleryman in the Defense of Charleston (1986) edited by Warren Ripley. From July 1863 through the end of August 1864, Confederate artillery major Edward Manigault, who commanded the Siege Train, wrote a wonderfully observant daily account of the Siege of Charleston. It's a unique record of events, and given the journal's official status, also an incredible compilation of detailed administrative information regarding the Confederate heavy artillery. Manigault's map sketches and tables are reproduced in the book, and editor Ripley contributes footnotes, more maps, and several useful appendices. 5. Vital Rails: The Charleston & Savannah Railroad and the Civil War in Coastal South Carolina (2008) by H. David Stone Jr.
An indispensable military and logistical link between Charleston and Savannah, the C&S Railroad ran parallel to the coast line and was close enough to the shore to be a frequent target of nearby Union forces. Among other groundbreaking aspects, Stone's book provides an exceptional record of these Union interdiction attempts and also explains how the railroad was integrated into the Confederate coastal defense system protecting Charleston. • Bushwhackers: Guerrilla Warfare, Manhood, and the Household in Civil War Missouri by Joseph M. Beilein Jr. (Kent St Univ Pr, 2016). This is an interesting looking social, military, cultural, and material study of Missouri bushwhackers. Beilein "looks at the ways in which several different bands of guerrillas across Missouri conducted their war in concert with their households and their female kin who provided logistical support in many forms." He also "provides a close examination of how these warriors imagined themselves as fighters, offering a brand-new interpretation that gets us closer to seeing how the men and women who participated in the war in Missouri must have understood it." "Beilein answers some of the tough questions: Why did men fight as guerrillas? Where did their tactics come from? What were their goals? Why were they so successful? Bushwhackers demonstrates that the guerrilla war in Missouri was not just an opportunity to settle antebellum feuds, nor was it [ed. : like historian Michael Fellman argued in his classic study "Inside War"] some collective plummet by society into a state of chaotic bloodshed. Rather, the guerrilla war was the only logical response by men and women in Missouri, and one that was more in keeping with their worldview than the conventional warfare of the day." 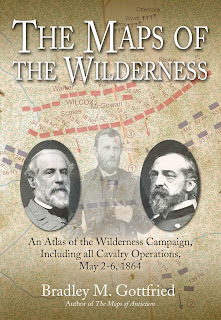 Review of Gottfried: "THE MAPS OF THE WILDERNESS: An Atlas of the Wilderness Campaign, Including all Cavalry Operations, May 2-6, 1864"
With completed atlases for First Bull Run, Antietam, Gettysburg, and Bristoe Station-Mine Run, author Bradley Gottfried has achieved rapid progress toward his stated goal of mapping all the great campaign's of the Civil War's eastern theater. 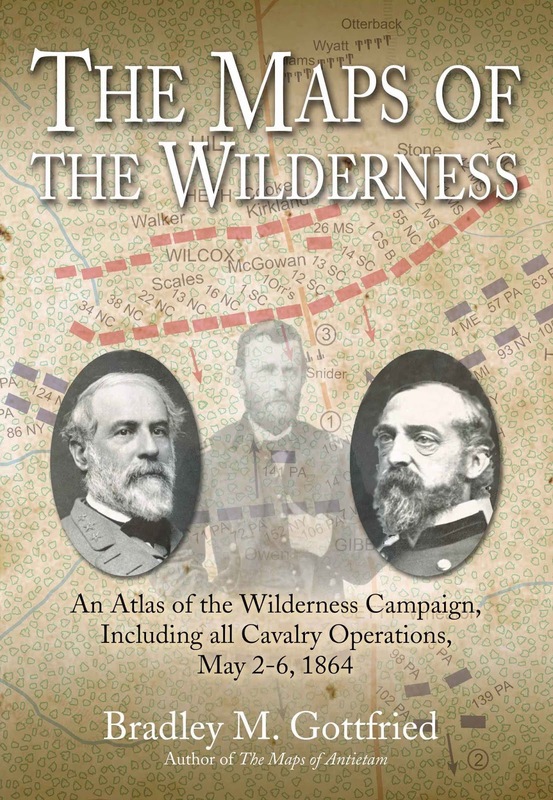 His fifth and latest volume is The Maps of the Wilderness, which covers the preliminary stages of the Overland Campaign, the cavalry operations before and during the Wilderness battle, and the main fighting that occurred between the Army of the Potomac and the Army of Northern Virginia on May 5-6, 1864. The Maps of the Wilderness boasts 120 multi-color maps, arranged into the Savas Beatie Military Atlas Series's trademark "action-sections," of which there are 24 here. Each map is part of a two-page spread: on the right side a full-page map and the left another complete page of text describing the action. Elevation changes and subtle undulations of the landscape, like ravines, are not explicitly represented on the maps but the general run of expected terrain features (ex. forests, fields, streams, roads, trails, fords, etc.) are present. For most of the fighting depicted, on map unit scale is maintained at the level of the regiment for infantry and cavalry (and battery level for the artillery). Confederate units are red and Union units blue, but these colors are frequently shaded to center attention upon those units specifically involved in the events recounted in the facing text. Viewing these maps, the reader gains renewed appreciation of the horrifically destructive May 5 back and forth fighting across and around Saunders Field, as well as A.P. Hill's heroic stand against near incredible odds astride the Orange Plank Road. The visual detail employed in representing the main events of the following day (James Longstreet's counterattack and the rolling up of both Union flanks) is equally impressive. The extreme difficulty of maintaining direction and formation in dense, low-visibility terrain (really like no other major Civil War battle, even Chickamauga) is also effectively conveyed by both maps and text. In creating The Maps of the Wilderness, Gottfried has performed truly yeoman work in attempting to flesh out the opposing lines of battle at the greatest degree of detail possible. This is never easy for any Civil War battle, but it must have been an especially difficult task to carry out for the Wilderness (particularly when trying to make sense of the often chaotic mass fighting the occurred up and down the Orange Plank Road), as many officers admitted to getting lost and not knowing where they were and who they were engaged with. In terms of research, Gottfried relies primarily on the printed literature of the campaign and battle, though he does use quite a bit of manuscript material for the text's quotable ground-level fighting man perspectives. There is some original interpretation involved, with the author providing the example of his positioning the defensive line of Heth's Division closer to the Brock Road on May 5 than any other source has done. Gottfried also incorporates into the book's endnotes a number of helpful discussions regarding conflicting contemporary accounts of specific events and the varying conclusions drawn by later historians from them. Perhaps inevitably when juggling hundreds of regiments back and forth between map and text, honest mistakes will occur, but unfortunately some made it past author and editor(s). For instance, though the units in question are seemingly correctly placed on map 4.3 (Page 45), on Page 44 the facing text mistakenly assigns three Stonewall Brigade regiments to George H. Steuart's mixed North Carolina-Virginia brigade. Without question, there will be those that will dispute the exact placement of particular units here and there by Gottfried, but such differences are native to all historical research endeavors and obviously no map study is immune from that. Atlases are invaluable tools for visual learning, and The Maps of the Wilderness uniquely enhances our appreciation and understanding of the terrible clash of arms that embroiled two great armies in early May 1864 and inaugurated the unprecedented period of sustained bloodletting later known as the Overland Campaign. • Renegade Texas Confederate & Union Surgeon Dr. William R. Robinson by Duane Helweg (Rimrock Writings, 2016). "The book tells the life story of Dr. William Robert Robinson, including the most intriguing era, that of the American Civil War, whereby as a surgeon, he served on both the Confederate and Union sides before finally practicing in Newark, New Jersey until his death in 1889." Helwig tries to piece together Robinson's life, one that took some mysterious turns, through a scattering of existing documents (the photographs of many of these are reproduced in the book). The biography discusses Robinson's Civil War service, first as a Confederate regimental surgeon in Texas (in the areas around Hempstead, Galveston, and Columbus), then as Union contract surgeon at Ship Island, Mississippi. It also provides material on Robinson's life before and after the Civil War. Biographical sketches of Robinson collected from other sources (and often differing in details) are included as an appendix, as is a study of Confederate casualties in Colorado County, Texas written by the author. • Flat Rock of the Old Time: Letters from the Mountains to the Lowcountry, 1837-1939 edited by Robert B. Cuthbert (Univ of S Carolina Pr, 2016). Flat Rock, North Carolina served as a welcome escape for the residents of the sweltering, unhealthy climate of the South Carolina Lowcountry summer. In this book, editor Robert Cuthbert "has mined the collections of the South Carolina Historical Society to publish a documentary history of the place and its people." Flat Rock also served as a popular place for refugees to escape the ravages of the Civil War, though the people could not avoid "the revolutionary consequences of the war, such as emancipation, occupation, and economic collapse." In editing this letter collection, Cuthbert contributes general and chapter introductions, as well as footnotes. Review of McCardle, ed. : "A JUST AND HOLY CAUSE? 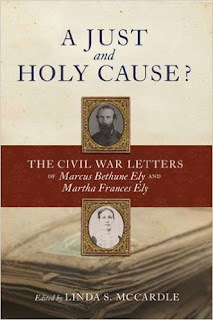 : The Civil War Letters of Marcus Bethune Ely and Martha Frances Ely"
Marcus Bethune Ely was a teacher from a prosperous slaveholding Georgia family who married similarly well-off Martha Frances Dumas in 1855. They settled in the Columbus area, and with the advent of Civil War, Marcus and three of his brothers enlisted in Company H ("Russell Guards") of the 54th Georgia Volunteer Infantry regiment. From May 1862 through spring 1864, Ely and his regiment drew garrison duty along the Georgia and South Carolina coasts. They spent much of this period picketing the southern water approach to Savannah at Beaulieu, where a detachment guarded a battery position blocking enemy passage up the Vernon River. Later, Ely and the 54th shifted above Savannah to Hardeeville, South Carolina and other points along the Savannah River. In May 1864, the regiment was transferred to Dalton, Georgia to join the Confederate host opposing General William T. Sherman's massive Union army group. 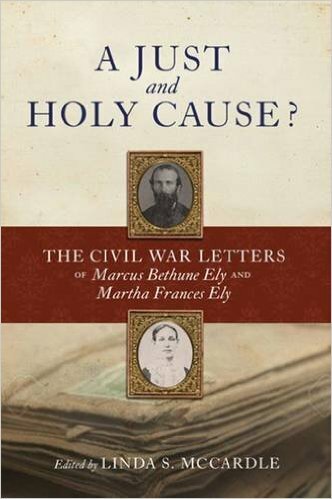 The wartime correspondence between Marcus and Martha "Mattie" Ely is the subject of A Just and Holy Cause?, edited by Linda McCardle. The affectionate letters between Marcus and Martha contain many of the themes commonly found in Civil War correspondence. Though neither particularly feared direct invasion where they were situated for most of the war, each expressed loneliness and longing along with mutual concerns over money, food shortages, scarcity of household necessities, illnesses, the fates of family and friends, the disposition of their slave property, and other day to day sources of worry during times of war. All manner of soldier and home front letters are published each year, and these are above average in terms of being thoughtful, observant, and articulate. Politics and ideology are little discussed by either spouse, but the collection does provide insight into the Georgia home front experience, and publishing correspondence from Confederate soldiers that spent the majority of the war years defending isolated stretches of the South Atlantic coast is a rare event. With some gaps, Ely's letters document well the 54th's service history around Savannah. The fact that a major part of the regiment basically guarded an untested river battery for two critical years also serves as a signal reminder of just how much of a drain on scarce Confederate military resources fixed strategic points along the coast proved to be when active armies were in dire need of reinforcement. While the letters are not heavily footnoted, editor Linda McCardle does pen a useful introduction that provides background information on the Elys as well as some general context for the letters that follow. The book could have used some more transitional narrative to fill in some of the larger time gaps between letters. With Marcus often sick from summer 1864 onward, it's often difficult to discern from the existing letters (or McCardle's notes) exactly which engagements he participated in during the 1864 Georgia and Tennessee campaigns. Some fine work is done with the supplemental materials. In addition to tracking down photographs, McCardle also reconstructs additional Ely and Dumas family history in an appendix. There's also a roster of sorts for the members of the Russell Guards which contains rather extensive biographical information for many of these soldiers. A Just and Holy Cause? definitely has unique points of interest that separate it from the general run of published Civil War letters. There are more book awards out there big and small than you can shake a stick at. Some 2016 awards are still TBA, and what follows is just a few (I'm sure I missed some). I've passed along an announcement already for the relatively new Tom Watson Brown Award, won by Earl Hess, but here's some more. Lawrence Lee Hewitt, Thomas Schott, & Marc Kunis, editors of To Succeed or Perish: The Diaries of Sergeant Edmund Trent Eggleston, Company G, 1st Mississippi Light Artillery Regiment (UT Press). 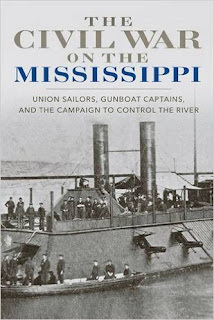 Edward B. McCaul for To Retain Command of the Mississippi: The Civil War Naval Campaign for Memphis (UT Press). Donald S. Frazier for Blood on the Bayou: Vicksburg, Port Hudson and the Trans-Mississippi (State House Pr). David A. Powell for The Chickamauga Campaign - Glory or the Grave: The Breakthrough, the Union Collapse, and the Defense of Horseshoe Ridge, September 20, 1863 (Savas Beatie). J. Matthew Gallman for Defining Duty in the Civil War: Personal Choice, Popular Culture, and the Union Home Front (UNC Pr). Thomas J. Ryan for Spies, Scouts, and Secrets in the Gettysburg Campaign: How the Critical Role of Intelligence Impacted the Outcome of Lee's Invasion of the North, June-July 1863 (Savas Beatie). Martha Hodes for Mourning Lincoln (Yale UP). Sheridan R. Barringer for Fighting for General Lee: Confederate General Rufus Barringer and the North Carolina Cavalry Brigade (Savas Beatie). The Emerging Civil War Series (Savas Beatie), Chris Mackowski (series editor) and Kris White (series historian). Louis P. Masur for Lincoln's Last Speech: Wartime Reconstruction and the Crisis of Reunion (Oxford UP). Congratulations to all the current and soon-to-be winners. • Suppliers to the Confederacy Volume II: More British Imported Arms and Accoutrements by Craig L. Barry & David C. Burt (Schiffer Pub, 2016). "the definitive reference on British arms and accoutrements in Confederate service, containing full and detailed histories of newly discovered imported arms and equipment, plus lost historical details of the companies and individuals that manufactured them, including: Robert Mole & Co, Eley Bros, Francis Preston, and Arthur Warner. There are brand new sections and photographs of knapsacks, waist belts - plus all the different types of snake buckles - cap pouches, 50 round pouches, ball bags, frogs, oil bottles, sabre bayonets for the P53 Enfield, bayonet scabbards, down to snap caps and tompions. It has brand new unpublished histories on gun makers like C.W. James, Hackett, Pryse and Redman, R & W Aston, R.T. Pritchett, King & Phillips, and London Armoury Co."
Volume II is packed with high resolution color photographs of the many items listed above. The well documented text is also very detail oriented. I would imagine that many different readerships (serious collectors, museum specialists, archaeologists, and more) would be very interested in the pair of volumes. • Out Flew the Sabres: The Battle of Brandy Station, June 9, 1863 by Eric J. Wittenberg and Daniel T. Davis (Savas Beatie, 2016). Another ECW book. Eric Wittenberg recently authored a Brandy Station overview with The History Press, but this one is adapted to the ECW series format. He and co-author Daniel Davis construct a history and integrated driving tour of the battle. Appendices cover the four battles of Brandy Station, the 1863-64 army winter encampment nearby, the Battle of Kelly's Ford, and the struggle to preserve the Brandy Station battlefield. 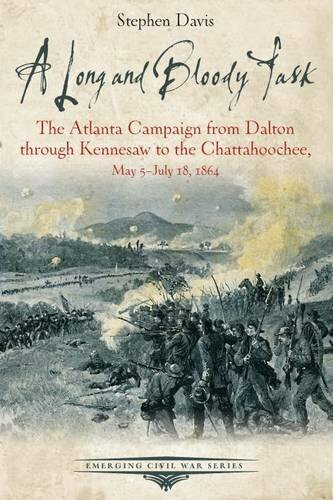 • A Long and Bloody Task: The Atlanta Campaign from Dalton through Kennesaw to the Chattahoochee, May 5-July 18, 1864 by Stephen Davis (Savas Beatie, 2016). The first of two volumes [for some reason, I thought it was a trilogy originally] covering the Atlanta Campaign, Davis's book is part of the Emerging Civil War series, with the target audience mandate and presentation style that that inclusion entails. It takes the reader on a long stretch from the beginning of the campaign all the way to the gates of Atlanta. In addition to the narrative and maps, there's a driving tour and a collection of brief appendices addressing a variety of issues (ex. federal campaign logistics, the Chattahoochee river line, and commentary on the current state of the Hood historiography). • Beyond the Gray Leaf: The Life and Poems of J.P. Irvine by Dustin Renwick (Fleetwing Books, 2016). It's probably safe to say the Illinois poet J.P. Irvine is virtually unknown today. 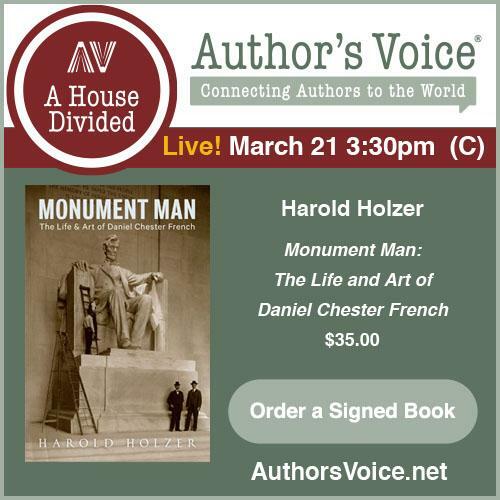 During the Civil War, he was employed as a government clerk in Washington, D.C. and local newspapers there and major literary magazines published his work. On Decoration Day in 1873, he read his poem "Unknown" to a large crowd of celebrants, including President Grant. His one published book, The Green Leaf and the Gray, was issued in 1891, and didn't include "Unknown." According to author Dustin Renwick, Irvine "excelled" in his Civil War poetry, and most of his best work existed outside the 40 pieces contained in the poet's lone publication. Renwick eventually uncovered more than 80 Irvine poems, and his book Beyond the Gray Leaf "offers a curated collection of Irvine's poetry paired with the historical and biographical context of his life."